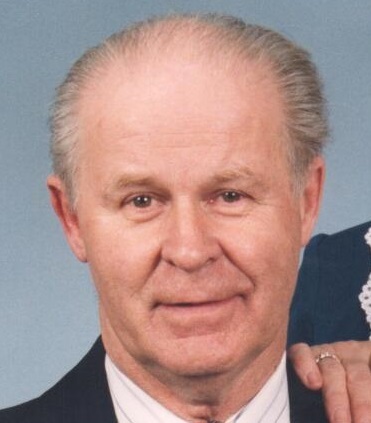 Carl L. Barton Sr., 88, of Worthington, died Sunday, September 9, 2018 at Good Samaritan Hospice in Cabot. He was born May 28, 1930 in Centre County, Pa, the son of the late Charles L. and Erma (Smay) Barton Sr. He was a foreman at Butler Co. Mushroom Farm and was also a co-owner of Dumbaugh Electric from 1990-1998. He was a U.S. Air Force veteran. Carl was a member of Worthington Baptist Church. He enjoyed hunting and farming. Survivors include his sons, Barry (Karen) Barton, of Butler, Scott (Pamela) Barton, of Worthington, and Boyd Barton, of Cowansville; daughters-in-law, Edith Susan Barton, Patricia Barton, and Della Barton; Thirteen grandchildren, Andrea (Michael) Coleman, Brent (Tracee) Barton, Alesia (Thomas) King, Daniel (Ashton) Barton, Brian (Jennifer) Barton, Todd (Julie) Barton, Cameron Barton, Wesley (Brandi) Barton, Cliff (Nicole) Barton, Jennifer (William) Bowser, Holly (Patrick) Weiland, Peyton Barton, and Ashlyn Barton; twenty-six great-grandchildren; four great-great-grandchildren; brother, Glenn Barton, of Washington; and sister, Joan Keiser, of Michigan. He was preceded in death by his parents; wife of 61 years, Mary Barton, who died November 9, 2012; three sons, Carl Barton Jr., Jeffrey Barton, and Shawn Barton; and two brothers, Charles Barton Jr. and Donald Barton. The family would like to express their deepest gratitude to Ruth Barton for all the help she gave in caring for Carl. Friends will be received from 7 p.m. to 9 p.m. on Tuesday, September 11, 2018 at the F. Duane Snyder Funeral Home in Worthington. Funeral services will be held at 11 a.m. on Wednesday at Donahey United Methodist Church, 1083 Church Rd., Sigel, Pa. 15860. Interment will follow in the Donahey United Methodist Church Cemetery. In lieu of flowers, memorial contributions can be made in Carl’s honor to Good Samaritan Hospice, 134 Marwood Rd., Cabot, Pa 16023.